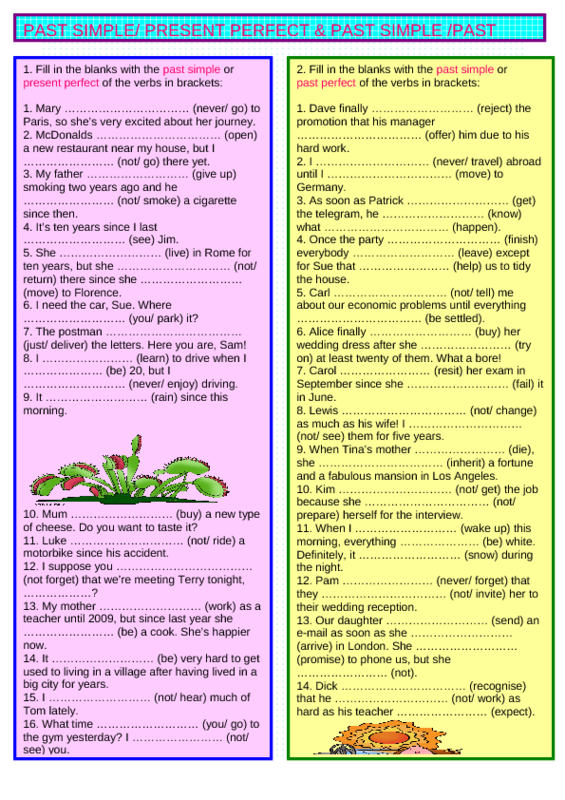 This worksheet consists of two exercises to practise/revise the present simple, past simple and past perfect. In exercise1 the students have to fill in the blanks with the correct present perfect or past simple form of the verbs in brackets & in the 2nd one they have to complete the sentences with the past simple or past perfect. Thanks Philip Martin for clipart. Key included. Hope it's useful!